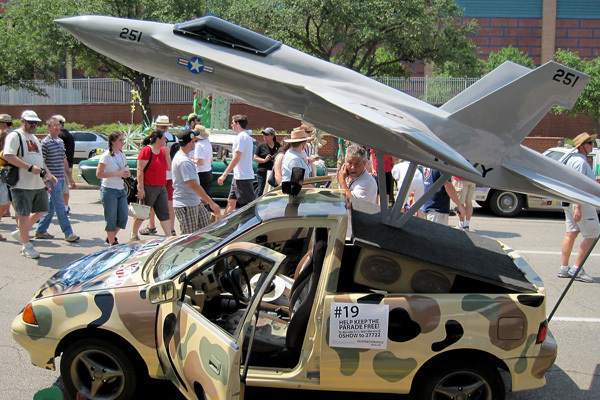 History Channel's "Only in America" aired Tuesday night and includes the story Larry The Cable Guy did for The Houston Art Car Parade. The segment lasts about 12 minutes and begins at the 31 minute mark. This segment features a few of Houston's amazing event and the artists that make it all happen. Click here to see the program. UPDATE: You can only see the Amish clip now. Show your love for art cars! Email The History Channel and demand they post the art car segment!